Some of the most impressive and innovative wines that the Sierra Foothills have ever seen. Chuck Hovey is considered to be a modern pioneer of wine-making in Calaveras County. He was one of the first winemakers in the US to reintroduce the Tempranillo varietal. Become a part of the family and join our wine club, with exclusive wines and member benefits. 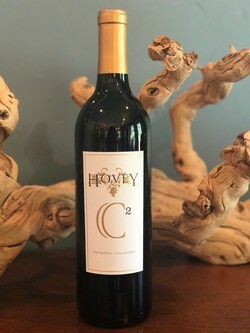 Being a member of the Hovey Wine Club means you are treated to limited access wines, pre-releases, invitations to "members only" parties, complimentary tastings in our Tasting Room and discounts on wines. You can choose from the 4, 6 or 12 Bottle Clubs (reds only available too). Our expansive lawn lends itself to our motto, "Linger, Longer". We throw many parties throughout the year, including dinners, pairings, concerts and art shows.